Teacher’s Day is usually celebrated in memory of a philosopher and statesman Dr. Sarvepalli Radhakrishnan, who was the first Vice President of India and the second President of India. The day marks the great service accorded to all children by teachers who have the biggest and toughest role in shaping the future, by giving not just academic lessons but also giving useful insight about life, and to build a social character. For that matter, a teacher is not just the one who teaches you in School or college but can be anybody who is your role model, a supporter, influencer, motivator, a friend, colleague or a family. 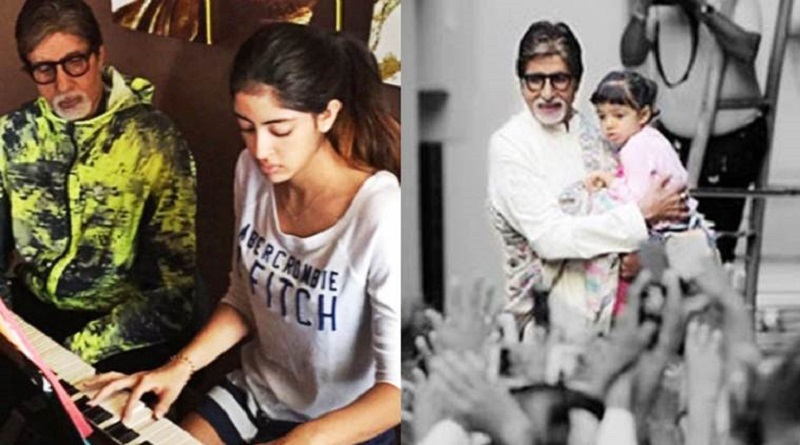 You both carry a very valuable legacy on your tender shoulders – Aaradhya, the legacy of your pardadaji , Dr Harivansh Rai Bachchan…and Navya, the legacy of your pardadaji , Shri H P Nanda…. Both your pardadaji ‘ s gave your present surnames celebrated fame, dignity and recognition ! Both of you may be a Nanda or a Bachchan, but you are also girls…women ! And because you are women people will force their thinking, their boundaries on you. They will tell you how to dress, how to behave, who you can meet and where you can go. Don’t live in the shadows of people’s judgement. Make your own choices in the light of your own wisdom. Don’t let anyone make you believe that the length of your skirt is a measure of your character. Don’t let anyone’s opinion of who you should be friends with, dictate who you will be friends with. Don’t get married for any other reason other than you want to get married. People will talk. They shall say some terrible things. But that doesn’t mean you have to listen to everyone. Never ever worry about – log kya kahenge. At the end of the day, you are the only one who will face the consequences of your actions, so don’t let other people make your decisions for you. Navya – the privilege your name, your surname offers you, will not protect you from the difficulties you will face because you ‘re a woman. Aaradhya – by the time you see and understand this, I may well not be around. But I think what I am saying today shall still be relevant.